Each design is available only in a limited release of two or three pieces. Friends were surprised when Shailly Gupta took up painting — a more no-nonsense figure of practicality was hard to find. Until her daughter was born in 2009, her life revolved around a corporate career, which included a role as lifestyle category manager at eBay. Going back to a full-time job after that did not appeal to the Indian expatriate, who turned her attention to art investment. Never one to approach a challenge half-heartedly, she enrolled in a two-year fine art course and, upon graduation, opened her own studio-gallery space to paint in and exhibit her work. Four years after first putting brush to canvas, it struck her that she could express herself through a chic medium she could carry around. 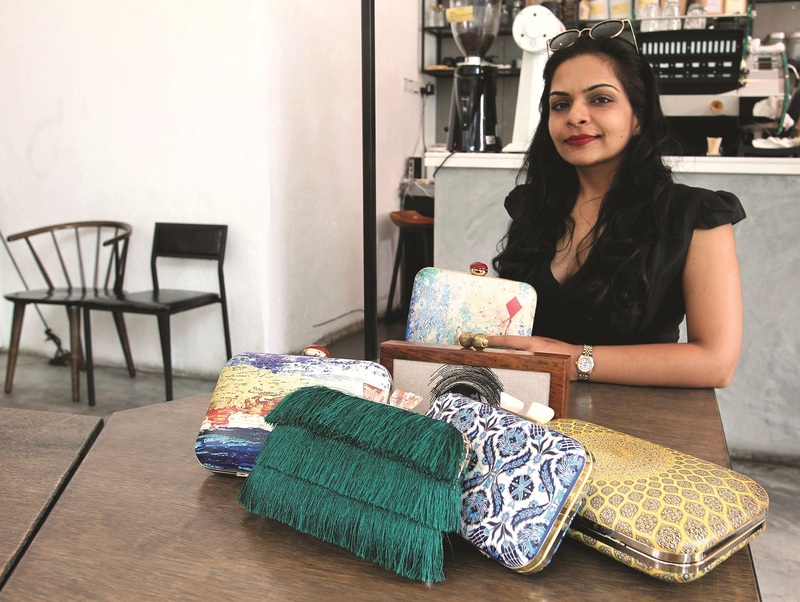 She found vendors who could supply high-quality clutches onto which she could print her paintings. Indian Ocean by Shailly was named after her sense of belonging to India and Malaysia, her adopted home, both embraced by the Indian Ocean. Other designs include a kite-themed series — one was based on a painting titled First Among Equals to depict leadership and going into uncharted territory — and a fresco collection inspired by symmetrical Islamic art based on embellished tiles from Morocco, Turkey and Iran. Shailly is currently working on a namesake collection dedicated to the Indian Ocean, drawing visuals from the Maldives to the Straits of Malacca. Case materials range from canvas to wood. Designs are either printed on both sides or on one, with the back kept clean for contrast or covered in velvet, in the case of a tiered fringed back, a departure from the printed versions. Satin in vivid, bejewelled tones lines the bags while finishes include brass, rose gold and silver. 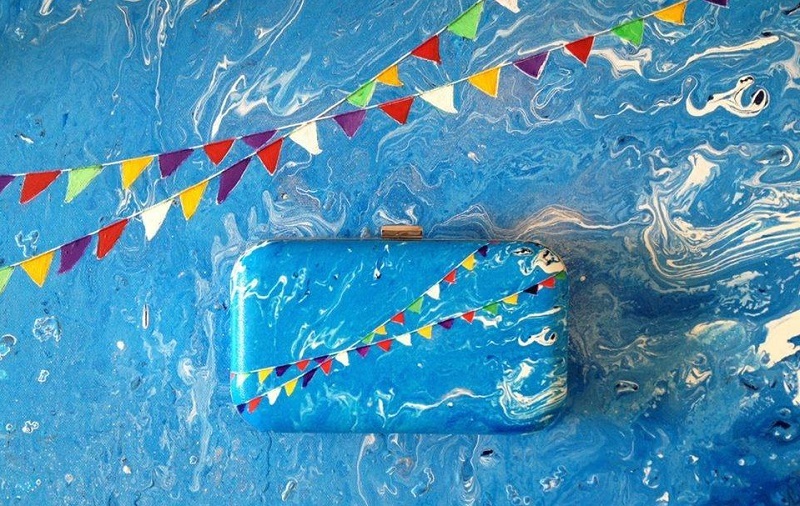 Clutches are priced at RM490 to RM590 and are available at boutiques such as Kita-Kita and Ilham Gallery, and at bazaars and events. An online store is being built. Each design is available only in a limited release of two or three pieces, though another run might follow a year or two after the first batch was launched. No print has been used more than 12 times, retaining its exclusivity. In fact, one of her pieces is owned by a member of a royal family. Shailly now has her eye on expanding in Kuala Lumpur — “I have only scratched the surface here” — as well as breaking into Singapore and Indonesia. Despite enjoying the unexpected trajectory of Indian Ocean by Shailly, she established the business as a creative studio and does not feel bound to a particular medium or expression. This article first appeared on Aug 20, 2018 in The Edge Malaysia.